This edition of Negrit comes in two sections. The first is about the journey that culminated in the convening of the Nairobi meeting; the second is a postscript. I believe many are expecting my personal reaction to the “Veto” exercised against my attendance by Andeberhan at the final session of the Nairobi meeting. Indeed they might expect an explanation, but for me, an activist and a writer who fails to defend himself cannot defend the cause of a nation; but I realize my ego should not be placed above the interest of the nation. That is why I will address the purpose and outcome of the meeting first and relegate my personal story on the second section as a postscript because that is what it amounts to, a postscript. Lately I came to realize that all the sectarian, regional, and other divisions are manifestations of the debilitating partisan divisions of the struggle era that some are cunningly keeping alive. The partisan culture had damaged Eritrean traditional cultural values and forcefully imposed itself in its place. Unfortunately, the entire nation didn’t resist the onslaught on our culture save for some meek objection to the colorless, tasteless and confused struggle-era culture. Not surprisingly, we were so much committed to the cause of independence of Eritrea that we allowed the excesses of the armed organizations; we are still suffering from the damage 25 years after the independence of our country. Unfortunately, the otherwise relentless and heroic struggle has produced an authoritarian rule, a militarized culture, a self depreciating dis-empowered citizen, and an apathetic culture. As we usher Eritrea towards a normal, civil, and peaceful existence, we should address our experiences honestly to resolve our contradictions. But first, we have to realize that the armed struggle is our collective legacy and experience which ended in 1991. Thereafter, we are bogged down in a struggle against an authoritarian rule that has to be removed. Anything we do should be measured by how much closer it gets us to our goal. But meetings and seminars, however we try to present them, are useless unless they produce tangible results. We need to move on to normality where every Eritrean is seen as a citizen before being seen in the many other identities. It’s in this aspect, and in this light, that I see the significance of the Nairobi meeting. As my readers know, I have been skeptical about Medrekh since the day it was launched. Disappointed by all the events of the past, I had developed an aversion to the feel-good projects that are carried out to be forgotten in a week or two. It seems many have lost self-confidence that they seem to expect salvation in the goodwill of foreigners who (with the exception of a few) consider our cause just a file to revamp their portfolios and develop their resumes as experts on Eritrea for their personal career advancement. We are not a portfolio, but a nation whose struggle may be statistics for the career oriented, though it is a noble struggle to us. Five months ago I came to know that Medrekh was working on a project to bring all opposition entities together for discussion with a goal of creating an atmosphere of cooperation and tangible unity. I started consultations with the task-force that was working on the project, and though I was still skeptical, I decided to help out, simply because the idea of reconciliation is central to my struggle. We started with a relatively divergent ideas, but we got closer and closer by the day thanks to my strong friendship with both Asefaw (the leader of Medrekh) and Semere Habtemariam (the task coordinator). Semere is simply a close friend of mine whom I would trust with my family. I have known Dr. Asefaw since the days of G13, to which I was invited but couldn’t join. I had just arrived in the USA as a stateless person: My Ethiopian passport was revoked (because I was part of the Eritrean referendum committee) and I was denied an Eritrean passport (because I criticized the government before and during the Badme War). However, I participated with my ideas which were presented on my behalf by my friend Dawit Mesfin. Since then, my relation with Asefaw went through ups and downs, but it always remained cordial, even in the face of severe disagreements. So much so that if I were to be banished to Ella-Ero and was asked to choose a company, Asefaw would be my choice. Over the years, the gap between us has been narrowing; on the Nairobi project, it was almost identical. I worked hard to make the goals of the project be realized and contributed my share, and constantly contacted Medrekh, particularly my friend Semere who did the bulk of the job. I am proud of my engagement in the project and I will do the same forever, even after the demise of the dictator. So, obviously I had a stake in the success of the Nairobi meeting. On the other side of the isle, the original opposition forces are my erstwhile allies. In spite of the ups and downs of our relations, our fate remained intermingled and I never saw myself outside the camp that contains them. I am also proud to say that I have maintained strong relations with almost all the organizations, helping, consulting, and advancing our common causes. Bringing the opposition forces together has always been my dream—and I thought I realized a big dream that we coined “4+1” when my other friends, Adhanom Gebremariam and Abdella Adem joined the Salvation Front and the others. That experience was too bold for its time and unfortunately didn’t work out as I hoped. But Adhanom and Mohammed Nur Ahmed carried it out in a smaller scale and EPM is at the forefront of such a dream. Admittedly, I never liked the Reform idea and always expressed my views against it. However, it seems neither the reform minded nor those who opposed the idea explained themselves clearly and the issue remains vague to this date. The extreme version of the reform idea is to remove Isaias and a handful of others hoping the sun will continue rising from the East and set in the West. I tend to think, in that scenario, the sun will never, never, move—it will remain overhead and burn everything under it. The anti reform camp is also another extreme, its proponents think everything in Eritrea belongs to the PFDJ and Isaias, thus, everything should be destroyed. That is not a call for peace and stability, but chaos and mayhem. You don’t save something in order to destroy it! For instance, I believe the defense forces are assets of Eritrea, they don’t belong to any party of the groups but the entire population. However, it’s severely disoriented nature needs to be corrected in order to orient its loyalty towards the Eritrean people, preferably though a just and democratic constitution. Eritrean wealth that was confiscated by the PFDJ and the resources that it forcefully accumulated, belong to Eritreans and as such they should be turned over to the government of Eritrea. In short, any governmental institution belongs to the people—of course, a serious rehabilitation and cleansing program will be needed to rid the institutions of the PFDJ induced culture of nepotism, partisanship, and corruption. But why would anyone destroy his own national institutions? In short, the corrupt criminal PFDJ entity needs to be eradicated as a party, and as was indicated in many instances, those who are wreaking havoc in Eritrea and are responsible for our predicament are estimated to be not more than “several hundreds men”. As such, our message to the public, both internal and external, should be designed with the above in mind. It’s with that conviction that I committed myself to work for the success of the Nairobi meeting and these are the ideas I believe in. But to reach to a concrete agreement on the above, and create a united Eritrean opposition leadership to pursue it, is not an easy undertaking. However, I think the Nairobi meeting has made it a lot easier and charted the next steps to reach the goal. Generally we tend to demolish what we invested in and focus on building new structures on which we embark to demolish in no time. When the EDA aspired to build a more robust and inclusive umbrella it called for the creation of the ENCDC which is by far the most inclusive and widely accepted political arrangement so far. I believe it can be expanded to accommodate the EPDP and Medrekh who I believe understand what is at stake at his moment. I also believe the ENCDC is magnanimous and flexible enough to make such an undertaking a success—the Nairobi meeting has paved the way for such an undertaking. If we are skeptical about such an undertaking, all we need to do is, reflect on the last five years since the Hawassa convention and see how we have squandered our time and resources, and opportunities that presented themselves to us—due to both internally and externally induced crisis. That, I am sure will help us endorse such an idea. Forgetting the small hiccup, the Nairobi meeting was excellent and opened the way for further cooperation among the opposition forces—I wish the public will subdue its perceptions, egos, negativity and skepticism, and for a change, rally behind such an objective. I will do just that and I hope I will not have to write anything bad about it—provided it is blessed with honesty, humility, be goal oriented and not a show-off and arrogance. Moving ahead, there are programs that need to be executed and we have to do our parts. In Nairobi, all the negative perceptions were cleared, seeing how Dr Asefaw and Hussein Khelifa appreciated each other is just an example, an indication. The rest of the interaction were equally uplifting and they are too much to list here. Lastly, I wish my friend Adhanom could have attended, but he couldn’t due to passport expiry date and visa complications, he could have contributed immensely to the discussions. But his spirit was there. Also, I really enjoyed my time with patriotic Eritreans, including Mohammed Nur Ahmed, Mesfin Hagos, the intellectual powerhouse Herui Bairu, Bashir Ishaaq, AbulAbbas, Negash Osman, Jemal Saeed, Woldeyesus Ammar, Mohammed Sefer, Muhyeddin Shengeb, Mengisteab Asmerom, Asgedet Mihreteab, Tewelde Gebreselasse, Dr. Almaz Zerai, Khedija Mohammed Ali, the Patron of Artists–Hussein Mohammed Ali, Suleman Hussein, Saba Fessehaye, Beyan Negash, Samuel Akka, Dr. Awet Woldemichael, Mohammed Burhan Blatta, and Dr Adane Teckle. I also had the opportunity to meet members of the Eritrean community, including Dr Asia Abdulkadir, Colonel Hussein, Ahmed and others whose names I can’t recall. On Sunday morning, Andeberhan Woldegiorgis put his colleague in a precarious situation when he threatened to expel me from the meeting unless they take me out of the meeting hall silently. They had tried to dissuade him from that bullish decision for hours to no avail and they were afraid a conflict will ensue and derail the meeting if they rejected his decision, or if he tried to expel me from the meeting. Looking so distressed, and embarrassed, they called me out for a word and explained to me the problem. At first I asked them to tell Andeberhan that I challenge him to expel me in front of the attendants to see if the they will approve of his decision or defy it in solidarity with me. I openly stated, “we will see how many people will sell me out and how many will turn against him.” The atmosphere was scary and there was a risk the meeting would end in chaos. My conscience didn’t allow me to be part in the failure of the meeting and I decided to subdue my feeling for the sake of the meeting instead of reciprocating with similar foolishness and bullish behavior that Andeberhan displayed. His ego and stubbornness was despicable, standing against four of his colleagues–he might have felt proud that he held the meeting hostage, but on the contrary, he proved his mettle and what kind of team spirit he has: none. At any rate, I decided not to tell anyone about what happened until the end of the meeting; I didn’t want the attendants to continue the meeting in a tense state. After dinner and celebration in the city, back at the hotel, we all met and that is when Dr. Assefaw gracefully apologized to me for what happened, and acknowledged my role in the meeting and thanked me. I rejected his apology because Medrekh doesn’t owe me one, and I have not seen anything but respect and camaraderie from him and his colleagues. But I fail to understand Andeberhan’s mortifying motive. At any rate, he attempted to politically liquidate me, and since he called for it, I will give him a clean fight. Hussein Kehlifa, Herui Bairu, Woldeyesus Ammar and several others commented on the issue and expressed their disappointment passionately and stated their solidarity with me and they considered Andeberhan’s disrespect of me as a disrespect to all the attendants. The comments would have gone on for the rest of the night had Semere not mitigated it. I also concluded, unless he reforms himself, Andeberhan cannot have a positive contribution in any project related to unity or organizing the opposition. His behavior, considering the negative luggage that he carries, is surprising to say the least. And though his blunders are made of enticing juices, particularly for a writer and satirist, I promise not to be enticed. Lastly, if there is anyone wondering, yes, I didn’t just arrive in Nairobi, I was invited and was provided with air tickets and hosting by Medrekh. And yes, I stayed in Addis Ababa for a few days, met several people, and I attended a few personal and public affairs–I will soon write about my personal observations in a much lighter tone. 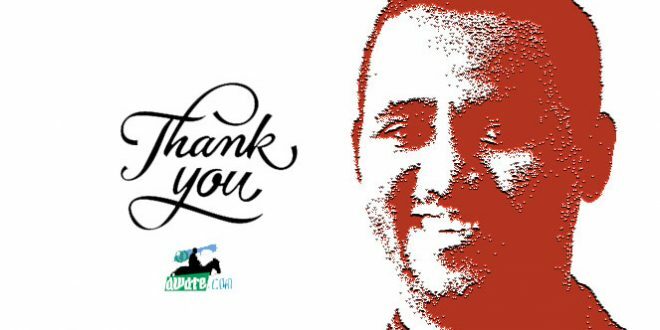 First, on behalf of myself and the Awate Team, allow me to thank you for your interest in Eritrean issues and your willingness to help. We wish you luck in your endeavor. I would also like to mention that we believe your team is capable of pulling this together, and please note that in the past, we had limited communication with Dr. [Gunther] Shroeder; his presence in your team assures us that your planned event must have been well thought of and we hope it will be productive. Having said that, let me state that we expected to see a public announcement about the event–if not a media circular to us or a general press release. Unfortunately, nothing of that happened. 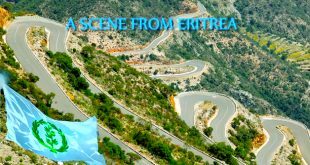 As you might be aware, for the last fifteen years awate-com has been following all Eritrean related activities diligently, and as such, since last September we have started to collect bits of information regarding your planned event. For our dismay, judging from what we have seen so far, it feels like we know “the end of the movie.” We believe it might turn out to be chaotic if you are lucky, or if you are not, it will be ignored as if it didn’t happen, just like the many such events of the past. For the most part, Eritreans are suspicious of any NGO initiated activity because they seem to focus on theory at the expense of real practical issues. Generally, the choice of the list of invited attendants doesn’t represent all stakeholders, but those who have contacts with the NGO world and are considered good enough representatives. NGO initiated events seem to be poorly thought of and the preliminary research on the matter seems to be haphazard, thus cooking its own failure and negative perception. They lack proper in advance planning in crisis management and warding off negative media and perception as an outcome—these seem to overshadow any positive outcome. The events give the impression that they are hastily prepared and lack support of the overwhelming majority of stakeholders. Also, such events unknowingly foster further crisis and divisions among Eritrean forces. Such is the political paranoia and mistrust that has been festering for too long among Eritreans. Cancel the date and extend it to a later date—most NGOs seem to be concerned by the use-it-or-lose-it spending limitations and rush to hold half-baked events before the December 31st budget year, I hope you do not have such concerns. Set a criteria for attendants—are you after individuals who can make political decisions, or intellectuals who can discuss concepts and ideas, or just presence? 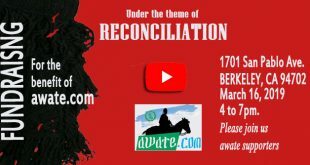 Make sure to invite from the cross section of the Eritrean groups, identify who they are and how you want them represented. If it is an intellectual (academic) meeting, then invite academicians and describe the goal of the event clearly. Finally, please don’t hesitate to contact me if you wish, and I wish you luck. In conclusion, though I don’t understand why the above would infuriate anyone, I am just presenting what I think might have triggered Andeberhan’s vendetta, or rather what seemed like a long held grudge. Like all patriots, I was glad when he decided to join the opposition forces after he abandoned the authoritarian regime against which I tirelessly fought for the last two decades, and to which he belonged until recently. 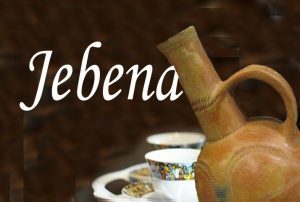 Again, Andeberhan is welcome to the opposition camp, which is the domain of every noble Eritrean. However, when the opposition welcomes him, it is as a citizen and not as a privileged person who should boss people around—bossing people requires merit, particularly in social skills, character, and a humble demeanor. Amanuel, Saleh and others have been strongly argueing that Medrekh is working for PFDJ reform. That is not the case according to Medrek officials which describe such arguments as “huwteta”. They reiterated that the PFDJ is dead and can not be reformed. Great debunk! Dear Rahwa, if I were to guess, the average Ethiopian is better off than the average Eritrean. We have very little to be proud about. I am actually more ashamed than proud to be Eritrean. Yep, I said it with pride. denied participation his true colour was revealed. that he will arrest and kill anyone who oppose him like Isaias is doing. Cool down Ms Abay Tigray! Saylikut wediet , yiblu Amharu ahwatna! Do not jump into conclusions and judgements about things and people you have no clue about! Yes,indeed,Dr Andeberhan W. was “Rude and Arrogant” for what he did to Ustaz SGJ! But do we know exactly why he was ” Rude or Arrogant”? I have no clue but His Excellency SGJ gave us some hint though and referred us to what he said about that ” Rude and Arrogant ” guy and his ” Winter Project” ,aka,”MEDREKH”! Now,since the whole Article and the Forum hit hard,insulted,character-assassinated and made serious defamatory remarks about Dr Andeberhan W.,I decided not to add more insults! But it is only fair and reasonable to give that ” Arrogant” Guy the credit he and his ” Winter Project”‘,deserve! I am out of the nonsensical business of siding with any one but I believe that I am entitled to opionionate with out bias and prejudice ,and nothing personal is given or taken here when I do so here! I stand FIRM on my position and stand about Ustaz SGJ! I said it in the STRONGEST TERMS about his relentless contribution for Justice! -He joined the armed strugge by leaving behind his Education and comfortable life in the west and chose to live the worst Guerila life and fought for 25 yrs for the liberation and Independence of Eritrea and Eritreans! -He has held top portfolio in the National and International arena! -He has the top credentials the top intellectual and professional or a government Official could held and achieve! -Contray to the assertions and allegations made against him,he rather is one of the very few GoE Insiders,who openly and brutally exposed the Eritrean dictatorship and the EPRP Secrets besides leading the top anti-Eritrean Dictatorship Campaigns and he is on the TOP for trying to bring together the Eritrean Fragmented and Dismantled Opposition,irrespective of his ” Arrogance”, which can be a simple human weakness and nature! Yes indeed,he brought together the seemingly irreconcilable people ! -For allegedly and apparently for not being inclusive in inviting the ” Stake-Holders” in the Frankfurt Meeting,which does not seem a correct allegation based on the interview he gave to the major media outlets! -For being rude and arrogant to the Author! My reaction to this is that ,NO MATTER what and irrespective of any grudges or animosity he might have with the Author,his action was WRONG,as the Meeting was about Rapprochement and Reconciliation! They claim that What the Author Wrote and said repeatedly about MEDREKH and Dr Andeberhan was even worse than what the Good Doctor said or did! I read the Articles the Author wrote on /about MEDREKH and the Crusadors repeatedly ! I also read and heard what MEDREKH and its Leadership said ! This is not to mention about the Ali Salim Saga,which annoyed and angered the Eritrean Highlanders and Christians,irrespective of who said it but was relayed through awate.com ! -That the awate.com has done preferential treatment to some Opposition Groups and Personalities! -That the same website in the past campaigned against some Opposition Groups and their Leaderships(hint : someone mentioned the EPDP and its Leadership)! -That the website and the Author crossed the Red Line about MEDREKH and its Members! Based on these ” facts”, some people concluded that few MEDREKH mbers might have felt threatened and as such ,retaliated against the Author! Human Nature point of view ,it might be understandable to do so but from National Reconciliation point of view ,it was wrong and it should not have happened ! 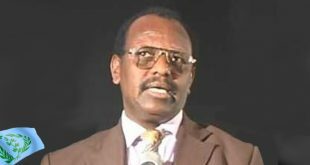 Dr Andeberhan Welde-Ghiorghis should not have been judged exclusively based on his role as an Official of the GoE and some argue that what he did and said was under the pressure of the Dictator! In fact,the same website or team advised us that we should not judge them but rather,allow them to safely join the Justice-Seeking Block and he did that successfully;and is leading the Lead and is walking the talk,at least in my opinion! We should treat him constructively like we have done (to)the others but challenge him as needed rather than demonizing him! -Let us forget and forgive! -Focus on the POSITIVE OUTCOME of the Meeting work harder and better as to how to do better! -Focus on Constructive Criticism rather than defamatory campaign against each other ! -Learn a Lesson and avoid similar mistakes! -Improve open and direct communication and Dialogue including Face-to-Face discussion! -Develop TRUST among ourselves ! -Develop and follow common sense Principles and Guidelines! Dear Hope. Sometimes you just simply blow me away. Mesmerizing comment, bold, accurate, wel researched. Way to go! There are no angels here, but the better of two Devils. ግዳ ዝገርም ገና ገለ ካብ ዓቢ ግደ ዝጻወቱ ኣባላት መድረኽ ‘ውን ሓንቲ ኳ ክፈልጡ ዘይምኽ ኣሎም እዩ :: ዘይተበራበሩ ኣባልት መድረኽ ነቶም ዑሱባት እንተዘየልጊሶምም ኣብ ዘይፈልጥዎ ሜዳ ክጋልቡ ብሓፋሽ ህዝቢ ክከዓቡ እዮም ::እሞ ርኣዩ ተዓዘቡ! ጉድ ምቅላዕ ክጅምር እንከሎ !ወረ ገና! first let us agree that perfection is only for God. I don’t expect Assena or Awate to be perfect and complete. I am a great believer who never fail to accept that we human beings are here to learn and develop toward perfection. high expectation makes man disappointed even from his own self or any loved one. the question I always ask is what better have I done? now, we are talking relatively, there are certain things which are important to put in to consideration. 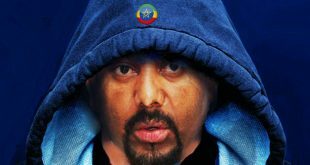 to make it easy for you, how many rich Eritreans are in the world who can do better than SGL or his team and Amanuel (assenna) are in the world? I mean it, who could have done better? I have simple survey on this question, that might help me as person to admire those guys. you list down yourself and you will know how much those gentle men are great. I have bee too tough to Amanuel and I found out how much he precisest and how much he grow fast. relatively speaking much much better than you and me. those gentle men in their limited ability and facility has done what they can, while the government arrest the entire press. thanks to this advanced technology era, you can imagine years back how could we have such open discussions. If it was possible for PFDJ those sites could have been in Ela Ero. but PFDJ still have sites who are playing the trick of PFDJ to kill those sites. for example -do you read meskerem those days? “..ኣይረብሑን እዮም..ግን ኣብ ውሽጥና ከይሰልኩ ምጥንቃቕ የድሊ” ከም ዝበለ ይሕበር። ርግጽ፡ ፕረሲደንት ኢሰያስ ዋዕላ ከም ዝተገበረ ኣሚኑ ምዝራቡ፡ ንክብደት ዋዕላ ናይሮቢ ዝገልጽ’ኳ እንተኾነ፡” that was about Medrekh..Lol. 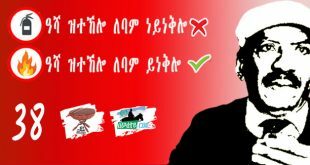 regarding Tegadalay, your question should be answered by PFDJ. ነይረ ድየ ባሶ! but why someone has to go to Asmara to serve people under PFDJ? ንሕና ኸ ሃጥያት ዶ ነይሩና እዩ? why is this group good for some when there were people rejecting it? truth has to be told, the truth is that some were not aware but some were opportunists. so, don’t give as example that PFDJ. Tegadaly in first place will not agree to be governed under such childish group and PFDJ is against gedli. “Mdada”. excuse me I have a problem on this one ” At the end of the day, Medrekh is political movement and Awate/Assenna are private websites..” not exactly, I can’t say so. putting aside the names, if you measure what MedreKh and those sites has done I am certain to say awate/assenna has played their political role more than Medrekh. If only they work under one admin we could have seen a challenging atmosphere that can cause the death PFDJ earlier. “one man show”…I think SGL could have done better for his life and his children if he had an internet business having such site instead of hearing such words. I am half man – badly injured , and not young too, I am still participating in Gedli, but again I am a father of seven – I don’t have website but I got lessons through internet and just seldom I make business through internet gaining something additional money. and yes, I put some time and effort but get good result. you can imagine now if SGL do business forgetting all those challenging duties – he could have been richer than those corrupted PFDJ business men- simply through legal means. so as you said created goes to them but even we should appreciate and encourage them to continue with highest quality and style. you and me have some points in common which we agree but we should work out more. Greetings my people. I rather have this kind of controversy among Eritreans over crying to westerners who do give a hoot about you. You know the likes of Westing your time in Geneva. You know the kind an absolute absurd in the streets of NY city. Dispite all that nonsense; the EU just approved 200 mil for Eritrea. A great day; not that about the money but your absurd demonstration went to waste. The whites are not that dummy to listen to a bunch of runaways. The list shows ‘participants’. Saleh himself wrote in the article, he was invited but unable to participate, because he was delayed in Addis I guess discussing wedding strategy with Woyane general or Molla Asgedom of TPDM. Therefore the list cannot show his name. The list is not for invited but participated individuals. Good observation; but in one of his replies to me, SGJ said he arrived in the second day of the meeting; though I’m not sure whether he participated during that day. I suggest we keep it down. I think you are crossing the far side of the decency line. I kindly ask you to stop your provocation. Is this Ambassador Andebrhan the former Governor of the Bank of Eritrea? Now it becomes clear for me why you could not get along with him. You are too decent to deal with a known bank robber. I’m glad you left with your dignity intact. Hi, Abi. The “yes” response made you to conclude that way?-:( i guess you have some kind of dislike for bankers. Do you dislike Ambassadors too? I like you more when you polish less apples. You got a lot to catch up on. I can tell your knowledge of Eritrea is not that much better than mine. This ambassador/ bank governor/ …… was a notoriousr Bank robber. I told you before you are novice for Eritrean politics. No Problem, I will stop commenting on the subject. But that was not provocation but only replied based on my understanding on what was written in the article and comments made by AT forum participants. The Araada saw you grow up, and I am too familiar with such sleek excuses–please don’t use it with me. At any rate, let’s keep it decent. Focus on ideas and substantiated arguments and we will be fine. While you are still at the same subject of addressing discussion guidelines, can you please look into the moderators you selected for this forum. Some of them are trigger happy moderators and seem to block discussions that don’t even remotely violate the decency rule. My last discussion with Mr Tedi on the article about Ras Tessema was blocked as such. I have asked him some hypothetical questions and was looking forward to his responses. Can you please look into it as that discussion will help me understand in my study of the history of Ethiopia and Eritrea. You are very boring & im not guessing it is for real. Shut your pie hole & try to practice some dicency, will you? “You don’t tolerate opinions that are different from yours. ” said Amanuel of Assena to Medrek nearly 2 years back. Medrek may thinkt they can play their dirty politics and they can still continue collecting millions of dollars by the name of Eritrea people. Money is only a tool and people care about principle more than the tool as tool can be created. read ..
Hey maybe they don’t want to involve assenna.com and want to wait until they got everything worked out or use their own website to share their information. It would make sense for them to setup their own website without needing a middleman.. maybe they initially reach out to websites to gauge skills or possible collaboration. After all what is assenna.com? what is awate.com it is a private website? Does it follow any journalistic standard? or is it part of the EriMatrix? I appreciate the work the websites does no doubt.. I like to repeat what Amanuel said so you will know what my massage is “You don’t tolerate opinions that are different from yours. ” so, what a big deal is to have your own site? leave such rich party (as they are informing us) even SGL with all his family responsibilities had found this site. He insist to remain in the same principle INFORM,INSPIRE,EMBOLDEN, all under the main target RECONCILE all to serve people in creating peaceful and advanced future Eritrea… Medrek is allergic to see such type of site . Amanuel of Assena, challenging all odds and had managed to expose PFDJ badly. with few economical support both sites has done wonderful job. awate is almost running with out support, the team works as TEGADALY do. by the way, those sites are really ours and we should work hard to support them. you and me can have bigger,richer and stronger sites than those sites- we can get more support funds . If you have plan you will get good advice from me, just call me. but remember, don’t ask me about principle. Medrek can have another “serving the truth” special site at any time but remember people are very much awaken. standard? I will leave this one for you. you know very well having standard site don’t show the principle. you can have standard site while your aim is to kill people – yes. As I can see there is the same nick-name which is appearing below. I would like to say, “it is not me”. Please therefore inform him/her to use another as it may create confusion. nightmare questions. What were all the motives, to kick you out from the meeting??? of colt, regardless where it grows up with domestic donkeys. me some brief for my requests …. 1. እቲ ኣኬባ ካብ ኢትዮጵያ ወጻኢ ብምክያዱ ካብ ጽልዋ ናይ ኢትዮጵያ ነጻ ዩ ክባሃል ይክእ ድዩ …? It is me, Ghezae:) Just to note, I tried to cover briefly about ‘evolvement’ of Medrek from something akin to reform to something akin to regime change in the other post..just to avoid repetition. Duly noted. I read your explanation in the other comments and I can see where you are coming from when you mentioned Medrek’s ‘reformation agenda.’ Your explanation is good enough even though it falls short of claiming that they openly promoted the idea of reforming the regime. You made your point. Hi Abi, one good thing about fire for meat , it kills every pathogen or disease causing organism and you can eat safely the cooked meat. It is a good hygiene that Eritreans cook meat before they eat it unlike you know down south you have drink koso every week after you enjoy the QurT. Thanks for the invitation to Adama, the Oromia capital for the Choma, But at my age choma is not good for my health.I will settle for Gomen BeTena from Gurage and dagm katikala from Gojam. . By the way , do you have an entry visa to visit Adama Kilil. I aws told you must have a special permit to visit Oromia. Sorry for the delayed reply. I was cooking a joke for you. My friend Prof Tes was one of the lucky ones to buy one of those infamous sheep . He was cadre of the year . So he bought the sheep, loaded it on his cuccineta and rushed home before the sheep dies. Unfortunately, the sheep died on the way. When his wife saw the dead animal she asked him, ” Eway!! 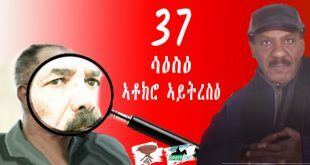 Anta Tesfa, gebeya yehedk meslogn, aden neber ende yehedkew? I’m sure that Hmto was Delicious! specially after a week long excursion for firewood on the mountain. BTW, how tall are Eritrean trees that the Prof. needed half a dozen of them to cook one sheep? Do you know he measures firewood in kilos? “TiUm Hmto !! MaErey”, he was so appreciative. ” Enchi enatshin!”, he said while feeding her lovingly. Trees in Eritrea are short except the Archochbai along the river banks in Barka region. Most of the tall trees were burned to ashes by the indiscriminate bombing of 30 years by Ethiopian air force. For 30 years fire was raining throughout Eritrea, Even the Stones were burning in Eritrea’! And before the Ethiopian colonization, there was the Italian colonization that also a significant deforestation took place for 50 years as Italian tried their East African Colonial Empire. The only surviving trees are the hardy acacia trees, which are also source of feed for goats and camels in the country. That is why you need few trees to cook one dead sheep, unlike in the south where people are smart they do not need fire wood to cook a dead animal from a drought. qelamiTos, found abundantly in Kebessa, are the tallest trees in Eritrea. QelamiTos are the giraffe version of trees. I wouldn’t be surprised if they are the tallest trees in the world. It is true QelamiTos is found in Kebessa but not abundantly. I was talking about the native vegetation in Eritrea, qelamiTos is imported recently from Australia but also it is not the tallest tree in the world. I think the Redwood or Sequoia is much taller than eucalyptus trees. Alright. Let’s test your knowledge. Of the many trees found in Eritrea, how many can you name? I can name around 15. Good for you! I can only name three AwliE, Beles and Archokobai. so that’s only one. Awli’E and beles are not even trees. Tes was lamenting about the 800 strong tpdm force that used the remaining trees to cook the remaining cows and goats while your army was waiting for a leftover. I heard it was your army that was dispatched to fetch firewood for tpdm. Your hospitality is greatly appreciated. The tpdm are elite troops of Isayas. They are the most trusted and they get a spesial treatment by the Isayas regime. Isayas has long lost trust on his own people; except, of course, people like Dawit in the diasporas who consider him as God choosen to “lead” until his death. Hi Abraham how do you know what you have said is true? Where you there? You see this kind of worthless gossip is what your worthless opposition stopping in its tracks. The truth was told by MOLA and still you are telling a lie. Besides If PIA have not have the support of the people why is standing toll and kicking it? Unlike you who screams allegeanse to Isayas based on brainwashing parties organized by Monkey; I was there, I lived the harsh life in the hands of PFDJ commanders; I’ve experienced their utter disrespect for human dignity. By all accounts what I mentioned in the previous comment is only a mild example of how contemptious the PFDJ leaders could be against their own people. Why DIA is “standing tall and kicking”? Simple, just the same way other dictators do; by iron-fist, fear and terror. Hi Abraham; don’t change the subject. You said TPDM are there to serve PIA and you said Warsays are serving the TPDM. I asked you do you know. Instead of addressing that take, you are rumblings all over. Now you are spoiling my surprise. Here is another criter that is boiled alive: lobster. Shrimp are frozen alive. Speaking of shrimp… What’s up with the shrimp farm Brgied 72 ran? … … .. Three x Telata dots means details and Zanta for later..
Maybe I will checkout Abi a bit more. He is certainly sweeping up.. If you are religious, to accuse someone of something with no evidence is a sin. If you just have integrity, you know it is completely wrong. I can handle your brutal aggression, but please do not go around insulting people just because you feel like it. Don’t pretend to know everything and that you are the all-knowing god. My ticket and stops are part of my trip and you can boil yourself but I will not give you any information beyond that. Eat your heart out because I enjoy seeing people like you kill themselves by over analyzing things they don’t understand and lose sleep speculating about what’s is beyond them. Embezzlement? Do you know the meaning of the word? I guess not because you use it so liberally, so carelessly. Go ahead, do another zaaAgol. Ya Ustaz MuAleem: you’ve been through several time zones and altitude changes. The jet lag is taking a toll on you. You’re not your own self. Judging from your response to Teckle’s message one can tell the issue he raised is exactly what got you in conflict with ‘aba kebdu’! All the comments from your sycophants danced around that very issue. There is no way that ‘aba kebdu’ and company would pay for your ticket and accommodations only to ban you when you show up for the meeting. The real issue is what you did on your way to the meeting. Here they are arranging a meeting that would make them look like they are independent of TPLF Ethiopia in both appearance and substance, and what do you do with the ticket provided to you? You fly to Ethiopia for consultations. Using monies provided to you in good faith for a trip and purpose that would seem in conflict with what the group seems to be trying to accomplish is at best in bad taste and at worst an out right dishonesty. On this one- ‘aba kebdu’ 1: SGJ 0. You, sir, are a very unscrupulous person. If I didn’ reply to you it might be a reason for you to gloat–I said it to him, asmee’eya! A typical bravado. As I said before, I will not give you any information you shouldn’t have, ecch! But all I can tell you is that the itinerary was done by Medrekh, and I didn’t get money, they bought the tickets, all legs of the travel. They know why I was going to Addis and you can speculate some more in vain. But if you are reasonable person, that should do it. Otherwise, it is okay to wallow in your own drama. But please, words like “unscrupulous” are better uttered wisely, when you know what you are saying. Everyone who knows is laughing at your characterization, honestly. Since nowadays everybody at AT is playing a Guessing Game, let me join the game. If Medrek bought your Air ticket to attend the Nairobi Conference, obviously the will issue you a ticket with a stop over in Addis, because every time you add a stop over the price escalate. Your stopover was not a transit by your admission it delayed your attendance that you missed the opening and I am sure that was not planed by who ever was coordinating the scheduling for the conference. My guess is after receiving you ticket from US to Nairobi, you approached the Travel agent to change your itinerary, often by paying few additional dollars or if you are lucky i.e. if price dropped you get a coupon or voucher that you can use on your next air tickets purchases. Now I see nothing wrong to change you ticket to suit you travel plan, but you should have planned to arrive on time to attend the opening ceremony of the conference. So you should not complain and blaming individual or Medrek if they prevent you from attending the closing ceremony. I am sure they must have changed your ticket to arrive on time to attend from the beginning to the end of the “Uhuru Conference”! Those who arrived on time they were eating Ugali, while you had ‘lebleb kitfo’ for lunch in Addis. I guess that might also made them jealous and mad! Now Saleh, why did you stop in Addis? Were you purchasing my villa, in Addis, that Woyanes stall from me when they deported me in 1998? Was that part of your private business in Addis? Just Guessing! I like you with the sense of humor. Fear from others for you villa, not me. I have been watching the show from my den while enjoying my “Tire Siga”. If there is one thing that should send you to Era Ero is your last paragraph. Yelamoch Amlak yoqir yibelwo. Amen. You were not deported in 1998. You left your country in the 80s. You see I don’t play a guessing game. I just remember facts. My ‘deportation in 1998’ was Ato Saleh’s last guess how I left Ethiopia, he guessed I was mad on Woyane because of that. Whenever there is drought in the country, meat sell cheap as farmers rush their animals to the city before they drop dead. So I guess draught in the country is a blessing in disguise for the wild beast the lions and hyenas. just guessing. So my villa is safe from your latest shopping spree in Addis. I think you should accept the good EPLF lesson and leave Eritrean national affairs to PIA. I guess your choice of steak is ‘well done’ and not ‘rare’. Oh Saleh, you are missing the good taste of a juicy bloody tibs. Next time you visit Qera, try GURD or ‘Brundo’, it taste even better than kitfo mixed with rancid butter. Do you know fire or heat destroy the nutritional and taste qualities of meat? If you plan to ‘ban raw meat and bloodied tbs’ we the Amiches will fight you hard that you will not come to power by any means! By the way dose your plan to ban of raw staff also include banning raw Anbeta the famous Eritrean déclassé? I am still guessing. I have been curious as to what the Woyanes have done unto you, for you to sustain this kind of bitterness towards them-to the extent that you are prepared to see an entire generation to be obliterated off the face of this earth so that you can settle score with them. Now I see the source of the misery. Recent studies into what actually killed Jesus shows that it was actually the shock that stopped his heart causing his death not the bleeding as people have always assumed. You can imagine a shock stopping the heart from beating and the pain that accompanied it. And yet, he forgave his crucifiers. What I am getting at is that this kind of anger is not healthy. You have to find a way to deal with it. Or else, It will eat you alive. You will end up being a miserable, bitter Oldman. Saleh you are barking like a mad dog on every one who question your actions, you did not go to Ethiopia or to Kenya on vacation, do you? I am sure you were invited to discuss about the future of Eritrea , may be about transition if something happen to the leader or if the government fall, so every Eritrean has a stake on his country and has a right to know who those participating in the meeting are, who do they associate themselves with and what political or religious affiliations they have and question every motive you guys might have, if you do not like scrutiny do not involve your self in any politics, because it takes away your personal freedom. Decent questions and scrutiny are legitimate–for God’s sake, I am enabling you to scold me here, think about it! What I am objecting to is indecency because I do not like to swim in the gutters like some PFDJ supporters do. Do you have an objection in me asking for decent discourse? By the way, it is in the posting guidelines in case you haven’t seen it. NB: Imagine if I decided to respond to your “barking like a mad dog” you think it is difficult to use similar words? It is not, I just prefer not to use them, and that is my disadvantage. I read some where what you wrote and here it is. “Dr Bereketaeb Keshi Habteslassie Kentiba Gulbut is nothing from beginning and he is a stupid and the worst is that he comes from Eritrea,he was born in 1932 not 1942 that he wrote and he is almost dead.He will never bury in Eritrea. You are a laughing stock. Worthless chap. Muslims must think that we are all fools. The Jihad movements started an armed struggle a day after Independence. This nation cannot stand. It shouldn’t be too hard to understand that you cannot have religionbased parties in a multireligious nation. Marginalization is economic in nature and the solution is even distribution of social services and opportunities. You can unite all Eritreans that way. The bad Cop good Cop (moderate vs hardliner) is getting old. National Anthem? Who cares?! Make it in Tigre for all I care, but you probably want it in Arabic to unite all muslims. Right? We have nothing in common. Shouldn’t we just separate from each other. You go west and I go south. A win-win. You and adarob can repel each other and migrate if you so wish, no one will blame you for that, but many will stay put in Eritrea proper. I don’t know how many times I saw the lets split the cake for the convenience of our wishes, but that is just a dream. Eritrea is a reality that a simple wish wont do, only by changing our approaches to each other we can make it a habitable place. Why should I leave my ancestral land behind when I go? Thank you….then stop talking about going south and west to solve your problem, it is a waste of your time. I believe any discussion with respect is ok, we can´t have standard view all the time. I am sure such issue can sometimes be detrimental, we have to deal with it anyway but with respect. If you feel offended by any means of what I wrote I apologize for that, but please consider the discomfort of such issues. I am just wondering on how you come to the decision kicking me out of the country that I love as much as you do? If you read my input you will find out that I was talking about justice and not dividing and slicking people, since I don´t have the right for that. How can it be abrasive when he used jihad as a positive Word? You are being unfair. Let people just for themselves instead of thinking for them. 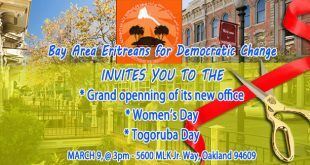 False, for the first there is no a party called EPLF; there is a front called PFDJ, and it is located in ERITREA, in which case it cannot compete for power in ETHIOPIA. And in Ethiopia, the TPLF party doesn’t compete alone, but is a member of a permanent coalition called EPRDF, that consists of three other parties in addition to the TPLF. I have faith in the decision of Medrek’s leadership and you are right when you said that I needed to confirm that what exactly happened and I learned that I was right on the money that Ato Gadi indeed was pretending that he had second thoughts on his initial uncalled for view on Medrek but that was his tactical move and when the leadership figured out that having him 8n the conference would be detrimental to Medrek’s progress. Ato Gadi is just using his website to promote himself by the way, have you noticed that Ato Salem never lead or organized any successful forum? Why? His ego and ulterior motives prevents him from being part of any organized opposition. You have always been angry and you are still angry. You are trying to explain something you have no clue about. Therefore, I will not take you seriously. But just a correction: what is “uncalled for view”? Do you just utter words that mean nothing? Views are not called for or uncalled for. They emanate from the self. Charity is good and I suggest you learn the correct expression. Sorry for the confusion that my inadequacy in lining the English words in right order might have created . I am still waiting for your generous correction if “uncalled for view” phrase I used was wrongly used? I was trying to say by “uncalled for view”-unprovoked or unnecessary view on Medrek after few days after of its launch…..I heard native speakers saying “uncalled for insults”…. And, you also accused me of always being an angry man. On the contrary, I am happy man and extremely elated that Andebrhan excluded you from the consultative conference. Please don’t exclude my response from being posted. Hi SJ. It is nice the meeting went well. After i read what you wrote about medrek( winter project, et all…) and your reasoning for rapprochement since their last meeting in Frankfurt is unconvincing, just doesn’t add up . The Email you sent( just a month a go) to the DR speaks volume how you felt about Medrek. It is just not an opinion as you said , it is no short of vilification. I am not convinced you changed your view of the group in a month time to make me think you went to the meeting with the same attitude. What surprised me most is the organization you belittled in so many ways is the one sending you the invitation. Kudos to them and to you because you deserve to be there to represent. As the same time, in this scenario, it should be no brainer to them and to you the conflict is bound to happen in one form or another; not as what you make us believe( unexpected confrontation). To confuse me more, you repeatedly explain how you are friendly with (some) members from (medrek) not with others . Graciousness to all is commendable in politics as in life but in your article you seem to put more weight in your friendship than explaining your difference in political stand. 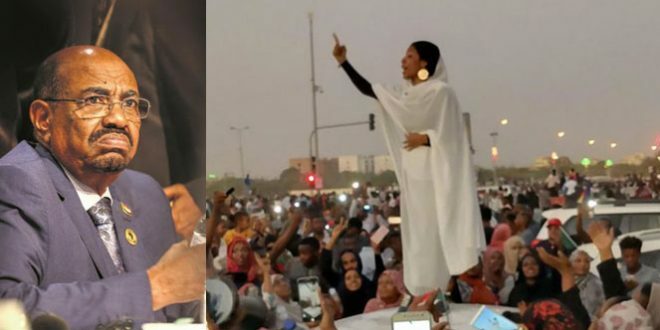 All medrek members( Dr Asefaw, Andebrahane……..) are more close( if not identical) in their political stand than yourself but you try portray one is more closer to you than the other. The personality of people you like shouldn’t override for what they stand for visa vise yours. It will be less confusing if you keep your personal relationships to yourself in political debate, it adds nothing as a matter of fact the article is zero in content in regards to what we want to know. It is unfortunate what happened to you In Nairobi meeting, but to stand up and ask the same members to take side is inappropriate. i don’t know how the Medrek members you think are close to you feel about it, if not meddling. I don’t know what Medrek is up to, all i hear is they are Ex-EPLF members who are more interested in preserving EPLF’s legacy as reformers than forward looking.I hope not. We are kept in the dark what has been said in all meeting(as who said what) in Frankfurt and now in Nairobi but at the end, we were asked to take side with things we know nothing about based personal story. I respect what you do for change,I wish you withheld this article( plus the email, God, it is awful. If it is not a call for showdown, i don’t know what is), it is not constructive for future engagement with the people you had this misunderstanding. I agree with most of what you wrote; however, I would recommend you to listen to the interviews that Medrek leaders gave about their plans, instead of basing your information about them on what you heard from others. 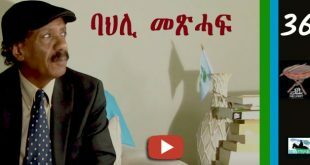 In the interviews they gave lately I never heard them speaking about reforming the current PFDJ regime; rather I’ve heard them speaking about the need of unifying the current splintered opposition groups both within and outside the country along common purpose so that the Eritrean people could successfully remove the dictatorship. There is nothing of forward looking other than removiing tyranny and the establishment of rule of law, and justice, which Medrek stands for. Also there is nothing wrong of keeping EPLF or ELF or whatever else organizations’ legacies as long as such legacies are of positive character. It is unfortunate that you sidelined the positive aspect of the conference and concentrated on your negative personal experience . Nevertheless, the fact that the conference took place is a sign that the war that has been raging between the ELFs and EPLFs for the last 35 years is finally dissipating and that the middlemen who have been fuelling the controversy for their own profit are to be bankrupt. I was touched by the speech Hussein Kelifa’s made. It was deep and patriotic that mirrored the plight the Eritrea people have been going through. As he was uttering that emotional speech. I bet he was struggling to prevent his tears. I am sure he would not have come to the conference and delivered such emotional speech unless he was convinced that Unity and not sectarianism is the correct path forward , and that there is no one but only Eritreans that can secure the salvation of our country because throughout the decades in Ethiopia, he saw it all. Are you sure I sidelined the positive aspects of the meeting? Please read the article again and my comments here because you making an unfair assessment. Pictures speak thousands of words. Your cover picture for your article says it all even though you unsuccessfully tried to term it as sideline issue or postscript….it is all about you! I am sorry you felt uneasy about my comment but watch the extent your personal predicament turned many of the commentators away from focusing on the merit of the conference, which, I believe , is the harbinger of the downfall of the impostor isaias afewerk, and the dawning of democratic Eritrea , where its people will live side by side peacefully honoring their respective religious faith, ethnic origin, native languages and cultural tradition etc. To this stepping stone of tremendous potential, no personal inconvenience ought to stand on the way. Each of us must play our very best facilitating and easyiing the pain of the birthing process. Special responsibility should also be borne by those of you engaged in positions where you can influence many of us. If you are a fair person, you could have given SJ his preps for leaving silently for the sake of the greater good. If not, he could have changed the toothless conference in to chair throwing contests. As much as I hope on this medrek thing, they don’t even know who they to. Are you telling me, there is not a head of the organization that who checks off the invitee list? Give SJ the credit he deserves. if It was me what happened to SJ; I am turning the conference in to the Jerry Spring show. Give the man his due for leaving peacefully. people, by their courageous decision to close the chapter of sectarian divide, in which their enemies , isaias afewerk and woyane, had constantly been pouring fuel to widen our difference beyond repair. They were even bragging that as soon as the generation of the 60s die out, they will very easily realize their evil dream, of course in vain. By the way, to say isaias afewerk and his cabals have established Apartheid system in Eritrea is an understatement; they are engaged in all out Genocide. I had raised this fact long before The Commission of Inquiry, after a year of investigation, came out with their report , in which they said ….. Crime Against Humanity might have been committed in Eritrea. 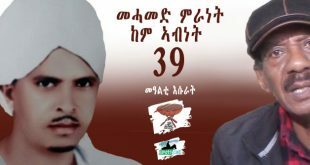 My estimate of the number of innocent Eritreans willfully, directly/indirectly, murdered by isaias afewerk and his cabals , only after independence, is more than 500,000. And I am certain my estimate will be validated by the figure the Commission will soon issue. As any vicious criminals, the reaction of isaias afewerk camp is invariably cry foul, total denial, character assassination of the messengers etc. Even his hired mobs tried to silence the Commission with a threat of physical violence in Europe. Who do you wanted me to quote, if not Hadas Eritrea? Were you expecting a quote from Addis Zemen or Ms. Sheila Keetharuth about Eritrea? 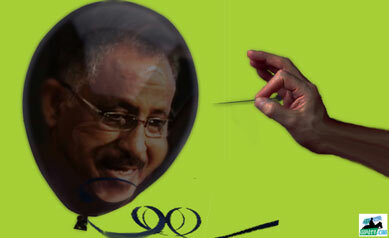 It has been almost 25 years circling around the glob holding meetings after meetings to change Eritrean government. And now in Nairobi you are as far as when you started, fighting over a plate of Ugali.. Don’t compare your retarded progress with that of Ghedli. Ghedli mobilized the whole nation in few years, liberating the country inch by inch. At the speed you are moving I will be dead hundred years, then, so don’t worry I will never see it your liberated Eritrea. But keep on dreaming, because dream is free. 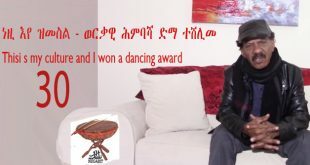 If you can tell me this guy Andebrhan or Hagos Kisha for the Eritrean people I am all ears. I know he servered Isayas through out his life, except may be since he left the PFDJ. The mess he created in Asmara University, the only institution of higher learning is not I take it lightly. As far as taking us 30 years, its because people who should know better, those that have privilege to know (by the opportunity they got for higher learning), use their knowledge to serve and protect the people but rather than becoming tools of the oppression. Andebrhan may have wrote several RFP for the UN, Workd bank, EU and others to provide development aid to Eritrea, but you and I know all the money raised , donated did not serve the country and the people. There is no justification for a small country as ours to have the army of the size we have, and they may have managed to gloss this tragedy that may be fallen to out young. Our independence took long but you should ask people like Andebrhan and Isayas why, instead of the fight the Ethiopian army spend years eliminating their own brothers and sisters. you seem very worried about the absence of Neos in this forum as if they are critical or integral part of the website , by the way Amanuel Hidrat just came to upvote gezaehagos, and I am sure he will fly in no time if Hayat Adem comments. Nevertheless, if you are here to learn just read the well written articles otherwise stop intimidating the moderator as if the forum can’t survive without you. Your favorite phrase “this could be my last comment” is getting old you need another one. That is a challenge your biblical story knowledge. Solomon is the son of Dawit and Dawit is the father of Solomon. Any other thing you want to know about me beside my age? Dear SJG: your situation remanded me the saying in Tigrigna.